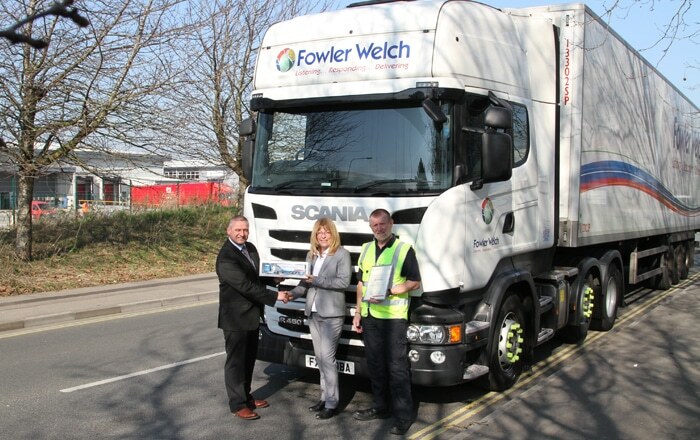 Fowler Welch’s Hilsea Depot in Portsmouth has received a 2018 Roadworthiness Award from FTA (Freight Transport Association) in recognition of the high standards it has achieved in maintaining its fleet of vehicles and trailers and controlling safety-related defects. Fowler Welch is a leading supply chain logistics expert, specialising in ambient and temperature-controlled products for retailers and manufacturers in the UK and serving major names on both sides of the supply and retail equation. It was the work of the organisation’s Hilsea Depot in particular that was recognised for its high standards in controlling driver and maintenance-related safety defects, ultimately winning the FTA Award. FTA’s Roadworthiness Awards highlight its members’ efforts in maintaining their fleets to the highest standards. They recognise excellent levels of vehicle safety, condition and maintenance and are designed to encourage and reward best practice in compliance with vehicle condition legislation. Previous : East Yorkshire Poultry Business Invests In Paneltex For Latest Fleet Vehicle. Next : New Smashtag Chill Uses Bluetooth To Make Temperature Monitoring Easy.